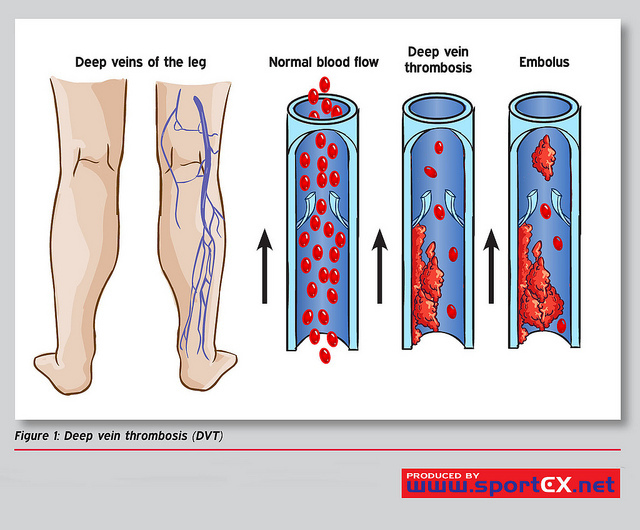 Definition: A deep vein thrombosis (DVT) is a blood clot that forms in a deep within the body¹. This condition must be taken seriously because if the blood clot is dislodged, it can travel throughout the body and become lodged in the other parts of the body, such as the lungs, causing a pulmonary embolism. In oncology patients, it has been estimated that approximately 20-30% of all first venous thromboembolic events are cancer associated². Cancer is recognized as, “an independent and major risk factor” for the development of a thromboembolic event³. The incidence of venous thrombosis in cancer patients has increased. This may be due to several factors such as increased awareness and detection of DVTs, as well as an increase in the survival rate of the aging population, who are at an increased risk of developing DVTs². Cancer patients are between 4 and 7 (relative risk) times more at risk of developing a DVT than the general population². Why Are Cancer Patients More At Risk of Developing a DVT? Stasis or pooling of the blood caused by bed rest or tumor compression. If there is a disruption of blood flow, it facilitates the formation of a clot. Blood hypercoagulability due to release of cancer cell procoagulant factors. Hypercoagulability simply refers to a state in which there is an abnormally increased tendency to form blood clots. In cancer patients, the last phase, which consists of the breakdown of the clot, is counteracted by plasminogen-activator inhibitors (PAI) 1 and 2, particularly activated by cancer cells. Consequently, this enhances the risk of developing a DVT. Type of cancer: pancreas, brain, lung and ovarian cancer have the highest risk. Lymphomas, myeloma, kidney, stomach and bone cancers have been reported to have a high risk as well². Stage of cancer: metastatic disease a time of cancer diagnosis was found to be the strongest predictor of subsequent venous thrombosis². Histological type of tumor: adenocarcinomas are associated with higher risks when compared to squamous cell carinomas³. Classical Signs and Symptoms of a DVT in the General Population: pain, swelling, redness, warmth and engorged superficial veins³. Most Common DVT Signs and Symptoms in Cancer Patients: extremity edema (80%), pain (75%), erythema or reddening of the skin (26%)⁴. Bilateral DVTs are more common among cancer patients when compared to the general population. Moreover, upper limb DVTs are common among cancer patients when compared to the general population because of the frequent use of central venous catheters to administer certain cancer treatments². Therefore, it is important to emphasize that differences do exist in terms of how a DVT will present in oncology patients when compared to the general population. NOTE: IF YOU ARE EXPERIENCING ANY OF THE ABOVE SIGNS AND SYMPTOMS, I WOULD STRONGLY ENCOURAGE YOU TO CONSULT A DOCTOR IMMEDIATELY. Cancer patients are at a 2-3x greater risk of a recurring venous thrombosis compared to patients without cancer. Thrombotic events are reported to be the second leading cause of death in cancer patients. Cancer patients with DVTs have a lower survival rates than cancer patients without DVTs. Higher risk of bleeding complications during anticoagulant therapy. 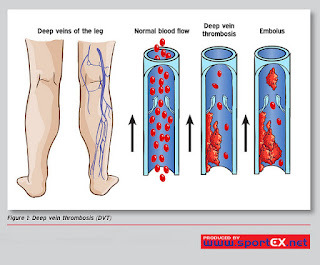 A deep vein thrombosis (DVT) is a serious medical condition that must be addressed immediately to prevent the development of more life-threatening conditions, such as a pulmonary embolism. Furthermore, oncology patients are at an even greater risk of developing DVTs, and previous research has shown that they also have lower survival rates after the development of a DVT when compared to the general population. Therefore, it is of utmost importance to closely monitor and address patients presenting with the above risk factors and/or signs and symptoms to prevent further life-threatening complications, especially in oncology patients. If you have any questions or concerns regarding a possible deep vein thrombosis, please consult your doctor immediately. If you have any questions or concerns regarding the content of this blog post, you may contact me directly at infophysiotherapy10@gmail.com. DISCLAIMER: This blog is not meant for diagnostic or treatment purposes. It should not substitute for professional diagnosis and treatment. This blog was not created to provide physiotherapy consultations, nor was it created to obtain new clients. The content of this blog is a resource for information only. This blog was created to serve as an information resource for both the general population and health professionals. For any further questions or concerns regarding deep vein thromboses, please consult your doctor and/or physiotherapist. 2. Timp, J. F., Braekkan, S. K., Versteeg, H. H., & Cannegieter, S. C. (2013). Epidemiology of cancer-associated venous thrombosis. Blood, 122(10): 1712-1723. 3. Khalil, J., Bensaid, B., Elkacemi, H., Afif, M., Bensaid, Y., Kebdani, T., & Benjaafar, N. (2015). Venous thromboembolism in cancer patients: an underestimated major health problem. World of Surgical Oncology, 13(1): 1-17. 4. Agnelli, G., Verso, M., Ageno, W., Imberti, D., Moia, M., Palareti, G., Rossi, R., & Pistelli, R. (2008). The MASTER registry on venous thromboembolism: description of the study cohort. Thrombosis Research, 121(5) :605–610.